Geraniums are annual plants that thrive in gardens, if the soil conditions are correct. Poor soil conditions result in lack of blooms and possibly root rot. Geraniums planted in the correct soil environment produce large blooms in vibrant colors, including red, pink, purple, blue and white. Soil used for planting geraniums requires nitrogen, phosphorus and potassium. Garden centers sell premixed soils containing these ingredients. However, if your soil is lacking these ingredients, amend it with a 10-20-10 fertilizer (10 percent nitrogen, 20 percent phosphorus and 10 percent potassium). 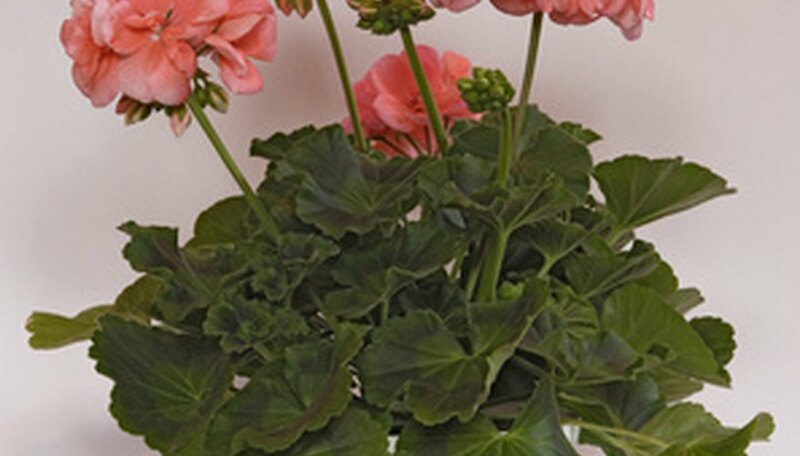 Apply a water-soluble fertilizer to the soil every six weeks, but don't apply it directly to the geraniums' foliage. 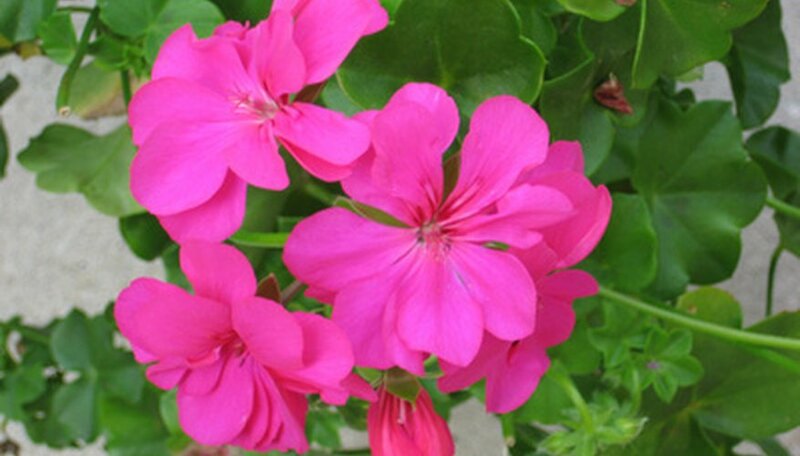 Geraniums prefer a pH level of 5.8 to 6.2. Soil tests reveal the pH level of the geranium's soil. Soil tests are available at garden centers and through county extension offices. Garden centers sell ingredients to increase or decrease the pH level if needed. Geraniums grow best in well-drained soil. To test the soil’s drainage ability, dig a hole 8 inches deep and fill it with water. If water remains in the hole after two hours, the soil is not well-drained. To improve the drainage ability of the geranium’s soil, add peat moss or other compost material, available at garden centers. 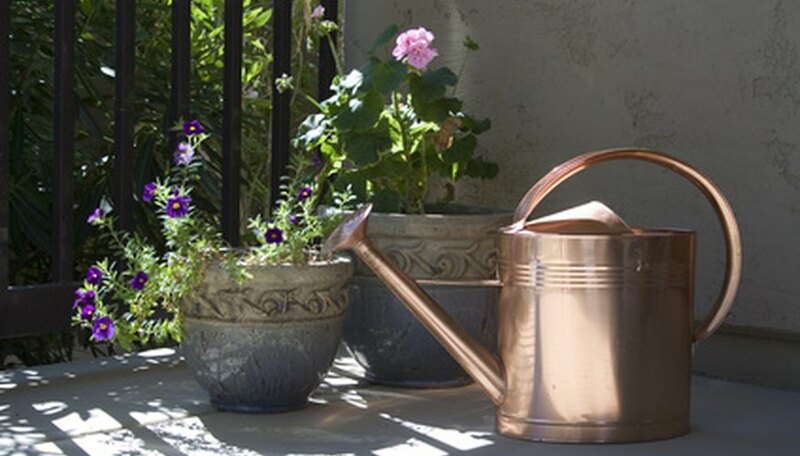 Provide the soil with 1 inch of water per week, if the geranium hasn't received that amount through rain. Water directly into the soil and not on the geranium’s foliage. 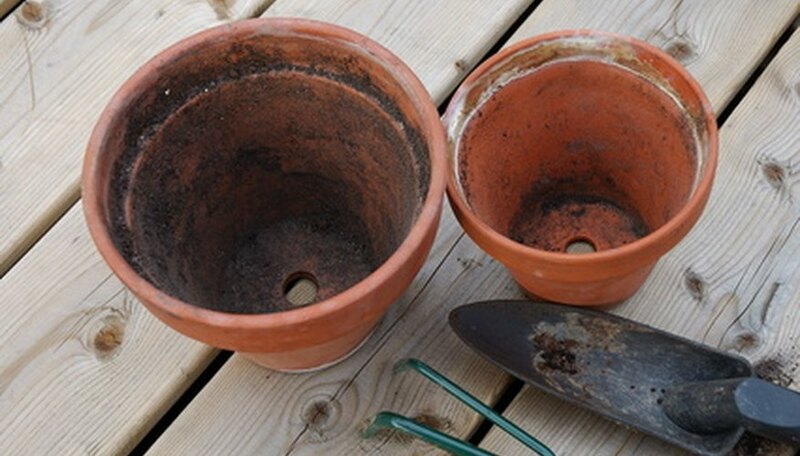 Allow the soil to dry out completely between waterings. Geraniums often respond well to growing in a soilless mixture. Soilless mixtures contain several ingredients for planting, but no actual soil. It’s lightweight, making it a nice alternative to heavier garden soils. In addition, there is no need to amend soilless mixes prior to planting.